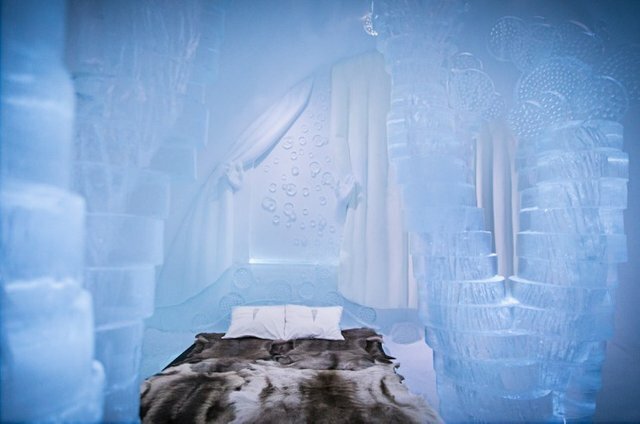 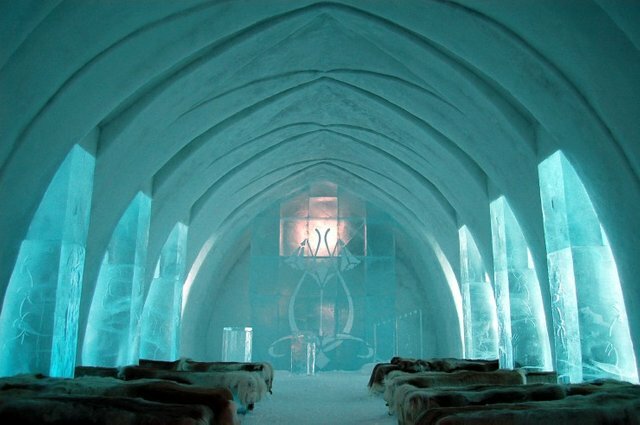 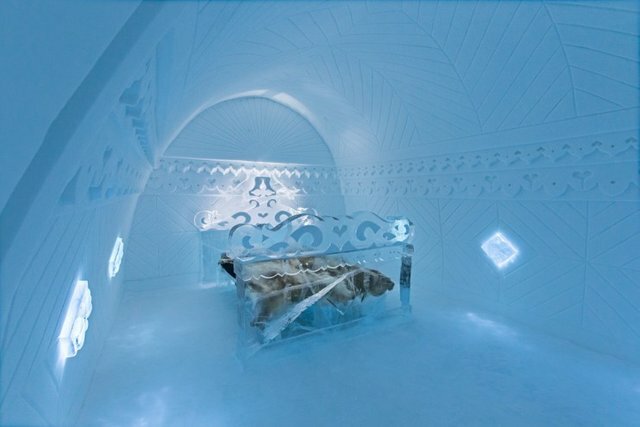 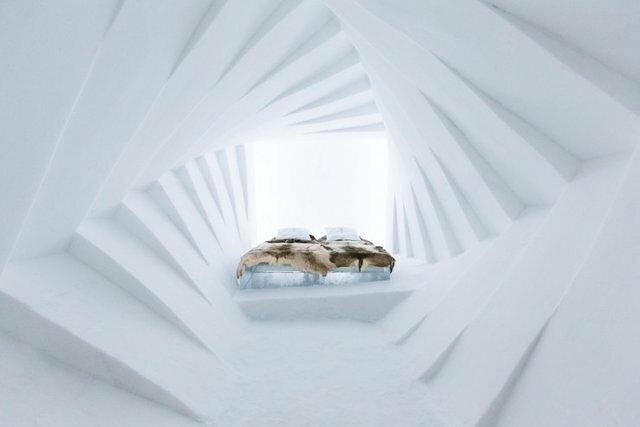 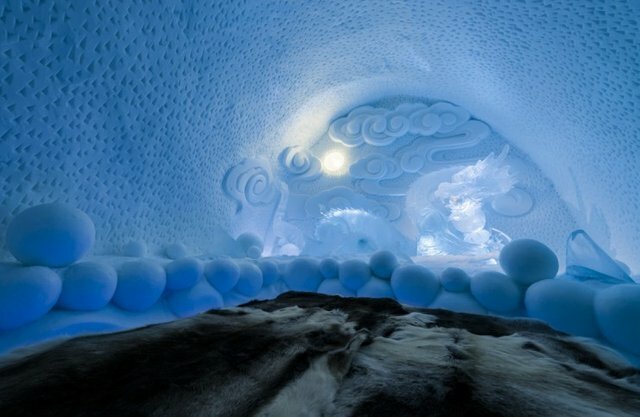 Close to the Arctic Circle there is a hotel made of ice and snow. 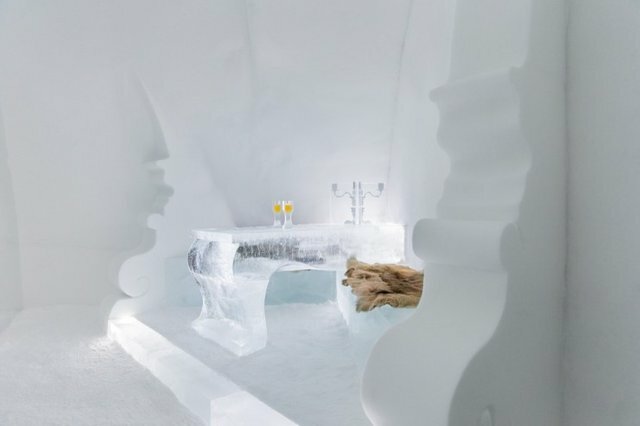 Originally founded in 1989, the hotel became quite popular among the adventurers – the dwelling looks like a fairy-tale house, created for the Queen of Ice. 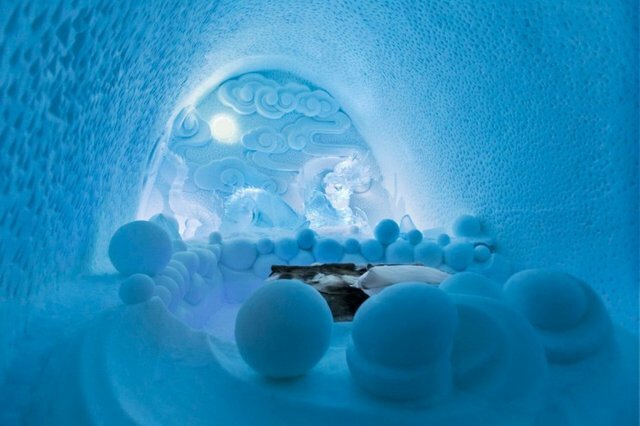 The ice sculptures are made by the artists, thus providing a truly aesthetic experience.